A meeting at Motherwell Civic Centre had to be abandoned as no councillors attended. The Internal Joint Board Performance, Finance and Audit Committee draws its membership from various public bodies including NHS Lanarkshire. 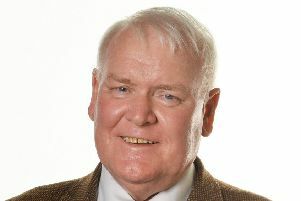 Four North Lanarkshire councillors - council leader Jim Logue, depute leader Paul Kelly, Conservative group leader Meghan Gallagher and SNP business manager Allan Stubbs – are also members. The 18-point agenda, scheduled for over three hours, included items on winter strategy, performance monitoring, the smoke-free Lanarkshire strategy, various issues relating to mental health care and GP contracts. Although other delegates arrived at the committee room on time, Dr Avril Osborne, who was chairing the meeting, was unable to commence it due to the councillors’ absence. The committee has no decision-making power unless at least two of the appointed councillors, or other councillors acting as proxies, are present to vote. Dr Osborne explained that three of the four councillors had submitted apologies, including one that morning. Attempts to find proxy councillors at short notice failed, leaving her no option but to halt the meeting and reschedule it. The meeting has been rescheduled for Wednesday, October 10.